Run as a team. The Largest Team is guaranteed $250 on race day! We’re working on extra prizes for captains of the largest teams. Become a Team Captain and invite your friends to join in on the fun! 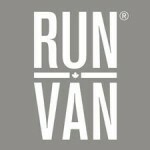 Contact us to learn more via email info@runvan.org or phone 604 872 2928. The Community Challenge presented by Chevron recognizes and rewards communities that support the event. $250 will be awarded to the Best Volunteer Team. Volunteer here.